Lady Kathryn V: An exceptionally spacious 61-meter yacht, Lady Kathryn V was delivered in 2011. 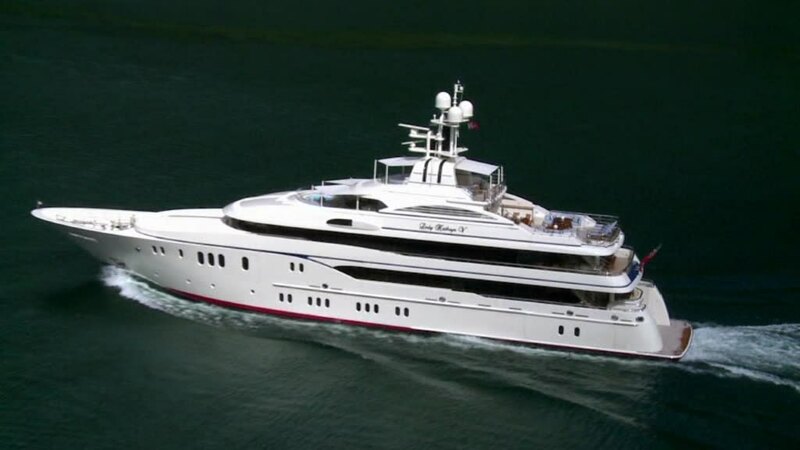 Her exterior design by Espen Øino International as well as her interior by Adam Lay are classical, elegant and sophisticated with a distinctly nautical feel. The interior décor blends exclusive, rich woods and textures with maritime colours like white and blue. Her outstanding features include an owner’s sea terrace, accessible from the owners' suite on port side, four ample guest cabins and a VIP suite with expansive windows looking out over the decks. Lady Kathryn V is also equipped with a movie theatre and spaces for different outdoor activities.